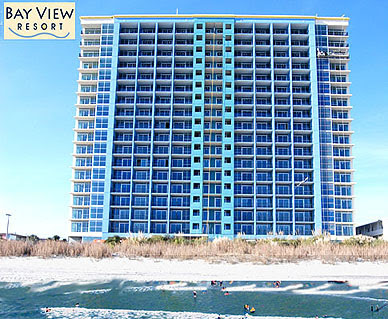 In 2005 Bay View Resort was one of the last condo towers to be built during the condo explosion in Myrtle Beach. The oceanfront condo tower is a favorite destination for beach loving vacationers because of its ideal location. Just a few blocks from the 2nd Avenue Pier, close to many of the popular tourist attractions, and near an endless variety of dining options, you will never be bored. The condos at Bay View come in a variety of sizes and prices run from under $100,000 to $200,000. Choose one bedroom units with city views or spacious three bedroom, oceanfront “lock-outs,” There are 1 to 3 bedroom units with beautiful views of the ocean or street views that look down the beach from the sides. Besides gorgeous views, the condos feature things like crown molding, granite countertops, and stylish furnishings. If you are looking for a rental income property, there is an on-site rental company or you can choose another local company. 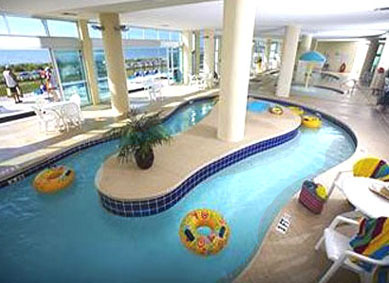 Great water amenities include a Jacuzzi, lazy river, kiddie pool and indoor pool. There is a fitness center for the health-conscious, elevators for convenience, and parking is easy. Near the new 2-mile long wooden boardwalk lined with food vendors and fun, as well as at the heart of all the excitement in Myrtle Beach, these are perfect family vacation homes and have in the past offered a good opportunity for a rental income. 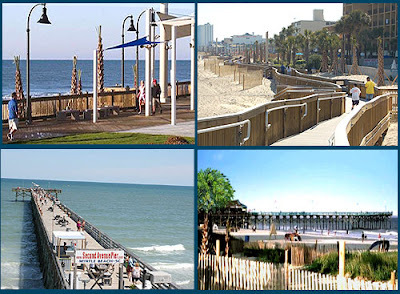 For more information on thus beautiful condo resort, visit our website and call our real estate professionals today to schedule a tour of the beautiful Bay View Resort Myrtle Beach condos for sale. We are here to answer your questions and help you find the home of your dreams.